Martin Ruesch is board member and shareholder of FutureManagementGroup AG. 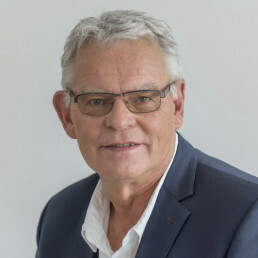 After ten years of consultancy work in the gross customer area of IBM he was one of the first shareholders of CompuNet AG, a company which he built up with Jost Stollmann and others within seven hard years to one of the leading computer commercial enterprises in Europe. After the sale of his shares in CompuNet AG Martin Ruesch devoted himself successfully to the establishment and development of innovative companies. The area of these companies covered knowledge technologies in Germany (ontologies, semantic web, etc.) up to wholesalers in Russia. With a venture capital organization he has worked on several hundred future concepts for enterprises and new business fields. He supported the most promising among them with his broad entrepreneurial competence as investor, business angel, revitalizer, consultant, and as a member of advisory and supervisory boards. Besides his board activities at FutureManagementGroup AG Martin Ruesch holds speeches and seminars on future management at companies, administrations and universities. Martin Ruesch’s passion is for new perspectives and an entrepreneurially shaped future. His ability to imagine himself in different situations and to think laterally, and his fondness for the unknown and uncertain things in life make him a distinguished future manager who creates solid bridges between future research and strategic management in his practical work. "We all have to pull together – and if possible, in the same direction." Future management: should you rely on your head or your stomach? How can you recognize the right way to the future? Future competence: How can you become a future manager? Future audits in companies: How well is your company prepared for the future?